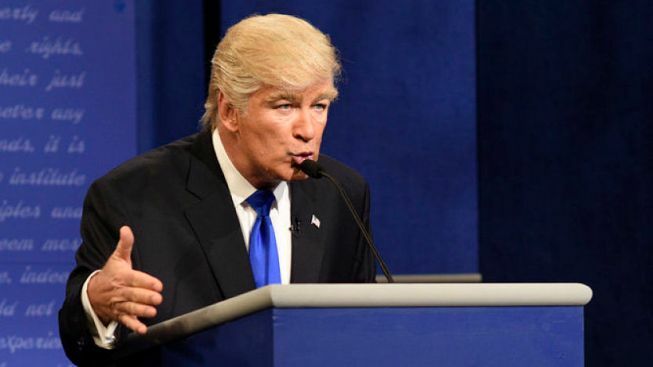 Trump has said that "the Baldwin impersonation just can't get any worse"
Alec Baldwin as Republican Presidential Candidate Donald Trump during a "Debate Cold Open" sketch on Oct. 1, 2016. Alec Baldwin may be taking his Donald Trump act on the road. Baldwin told ABC News that he is "in discussions" with other venues for his impression of the president-elect besides NBC's "Saturday Night Live." The 58-year-old actor has played Trump on SNL since last year. He says he will continue to play Trump on the late-night comedy show while also looking for other opportunities to spoof the incoming Republican president. Baldwin says he is "not really influencing anybody's political opinions." But he says playing Trump is "one of the most fun things" he's ever done. 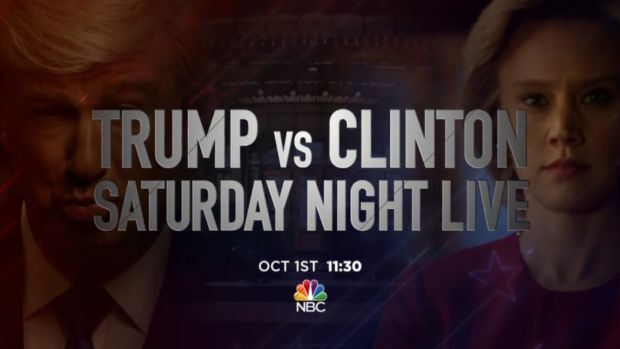 "Saturday Night Live" returns with all new shows this weekend. In the upcoming episode, Alec Baldwin joins Kate McKinnon for the show's take on this week's presidential debate. Trump has complained about Baldwin's SNL appearances on Twitter. He said last month that "the Baldwin impersonation just can't get any worse." Baldwin is also hosting the game show "Match Game" on ABC.